d I hope the reader also learns something new. The name of my interviewee was Haoming Huang, or his American name which is David, he is 20 years old, attending UC San Diego, and he has lived in the United States for 5 years. He was born in Zhuzhou, China and later moved to Zhuhai, China. Zhuhai is located in the Southern region next to Macao, which is the state or province of that area. 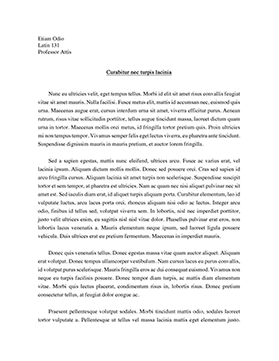 I divided up this paper into four different sections, each topic that it special and unique to my interviewee. Therefore, I’ll be looking into Chinese education, holiday’s, food, and conclude with how each one connects to family. ...em all over China. In addition, that work might bring them to places like the U.S. where they come to live a better life. This typically results in them making better wages that they will send back to their families. Although, some do return to their home and some might not ever go back, as a result there are others that will might also move their entire family with them. Despite the changes, one thing that won’t change is the family structure, it has remained the same throughout the vastly large culture in China. In conclusion, the Chinese culture may look complicated from the outside, but they strive to keep their culture and family life alive. These values begin with an education and it continues on to the family they will one day form and have. Now that China’s One Child Policy has been uplifted the family might surely grow and a new generation will commence.